Immerse yourself in the center of Madrid. Places of interest: National Museum of Romanticism, Gran Vía, Sol, Calle Fuencarral and Hortaleza (shopping, shopping) Mama Framboise, Ojalá, Platea Madrid, Naif Madrid Burguer & bar. 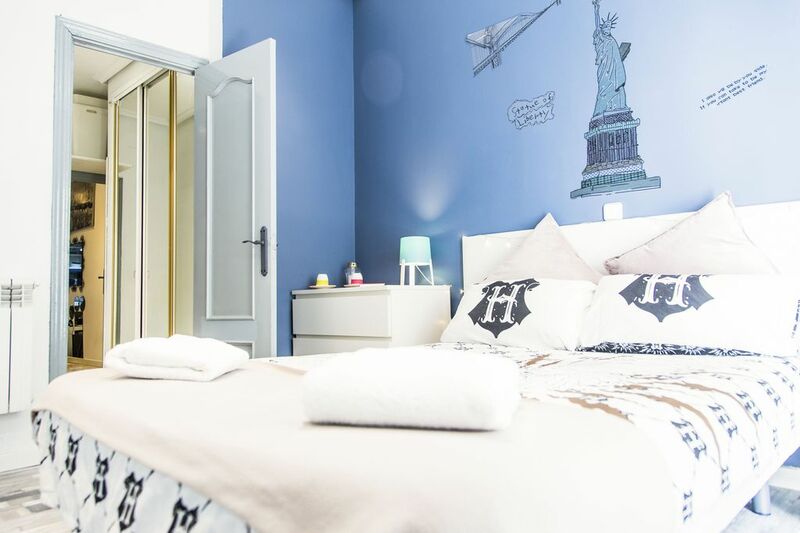 You'll love my place because you have a direct line by metro from the airport, lines 8 and 10 Alonso Martinez subway stop or court, 8 minutes walk to Gran Vía, 5 min chueca and 2 min Court square, the neighborhood , light, comfort of the bed, cozy space, free wifi, awesome tv uhd. It’s smaller than it looks in the photos. Great air con and location. Nice bathroom. The washer was not working when we were there. The host, Ivan was excellent. He went out of his way to make sure we were happy. Very clean, great location close to city attractions, we were pleased with everything! Awesome apartment, super clean, well worth our investment! Thanks Ivan for letting us stay st your Beautiful property! Clean, practical, and well located. Very good location. Comfortable and clean. Would definitely stay again.